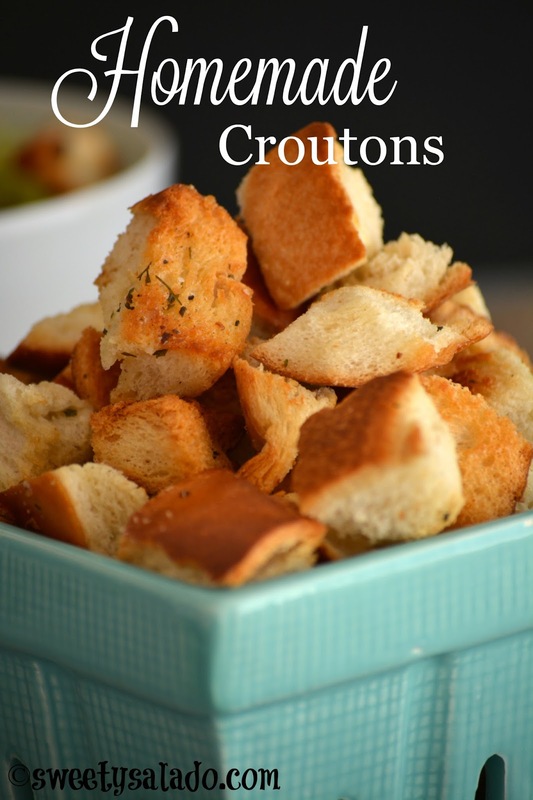 Once I learned how to make delicious croutons I wondered why I didn’t make them before. Seriously, they’re the easiest thing you can make. You can serve them with soups and salads or use them to bump up the flavor of other recipes that call for bread crumbs. You also don’t have to use a special type of bread, but, I highly recommend using Italian or French bread over regular plain, sliced white bread for better flavor and texture. The recipe below is a basic way to make them, but you can also add any other ingredient that you want, like herbs, spices or even cheese to make other flavors. And like I said, you can serve them with salads and soups for a simple meal but you can also grind them and use them as bread crumbs to give meatloaf and meatballs a boost of flavor. 1. Pre-heat oven to 375ºF (190ºC). 2. In a small saucepan melt the butter and oil over medium heat. 3. Add the garlic, parsley, salt and pepper and cook for about 1-2 minutes. Set aside. 4. 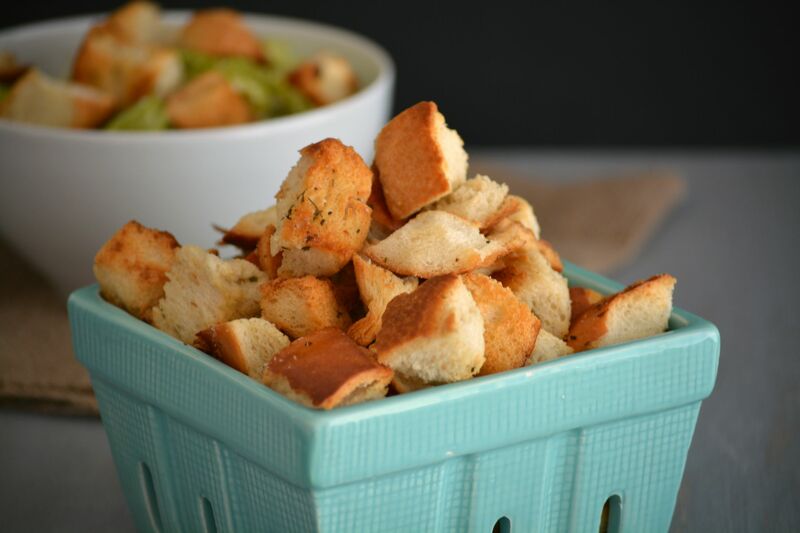 Cut the bread into small ½ - 1 inch (1.27 - 2.54 cm) cubes and place them in a large bowl. 5. Drizzle the butter mixture over the pieces of bread and gently toss them to make sure they are well covered. 6. 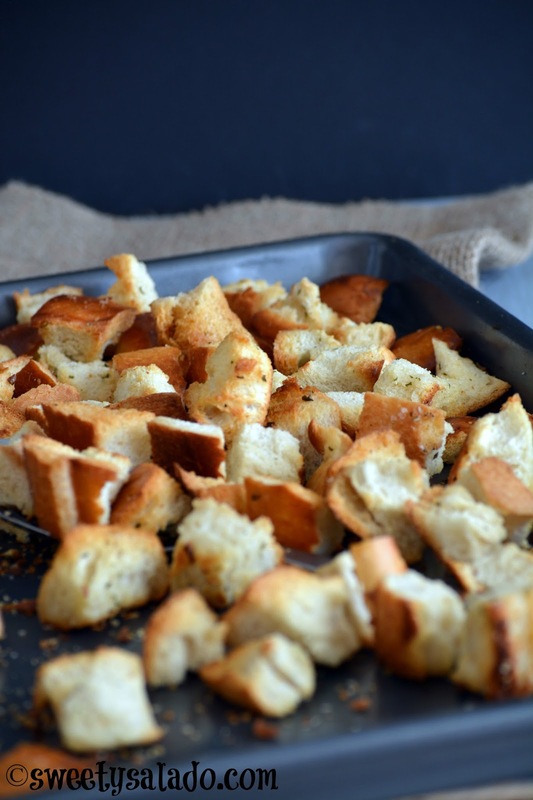 Spread the croutons over a large baking sheet and bake for about 15-20 minutes or until they're golden brown.